“Take us to your leader!” is the science fiction cliche…but what if there’s no leader to be taken to, and no one to do the leading? In this edition of the Film, Literature and the New World Order series, James examines the philosophy of Eric Frank Russell’s 1951 story “…And Then There Were None” and unlocks the secret of the most dangerous weapon. https://www.corbettreport.com/mp3/flnwo41-lq.mp3 “Take us to your leader!” is the science fiction cliche…but what if there’s no leader to be taken to, and no one to do the leading? 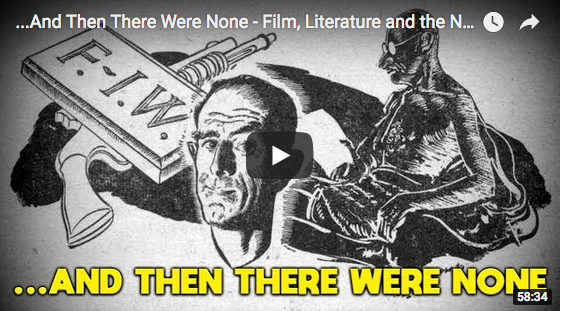 In this edition of the Film, Literature and the New World Order series, James examines the philosophy of Eric Frank Russell’s 1951 story “…And Then There Were None” and unlocks the secret of the most dangerous weapon. 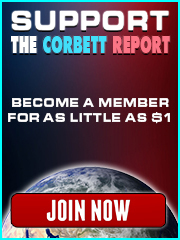 https://www.corbettreport.com/mp3/episode313-lq.mp3 Demonetization. Cashless payments. Biometrics. Can you connect the dots? Join James today on The Corbett Report as he uncovers the truth about India’s recent demonetization and follows the trail to the coming cashless biometric control grid. 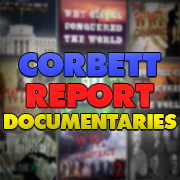 http://www.corbettreport.com/mp3/2016-08-07%20James%20Corbett.mp3 On a long enough timeline the value of all fiat drops to zero. Joining us today for a quick tour of the history of monetary devaluation and how it can be avoided is Ken Shishido of the Tokyo Bitcoin Meetup Group. http://www.corbettreport.com/mp3/2016-02-03%20Kerry%20Lutz.mp3 Kerry Lutz of FinancialSurvivalNetwork.com joins us today to discuss the war on cash. How long has it being going on? How does it manifest in our daily lives? What will it mean for the future of our NIRP-driven central bank-controlled economic future? And how do we hedge against it? http://www.corbettreport.com/mp3/2015-08-10%20Jem%20Bendell.mp3 What is the nature of money? Did it really evolve out of barter, and, if not, why is that myth so prevalent? What theories of money have been proposed in the past and how do they hold up? What monetary alternatives are on the table and how can they be improved? These are the types of questions that will be explored in a new Massive Open Online Course on “Money and Society” being offered by the Institute for Leadership and Sustainability. Today James talks to course co-creator Dr. Jem Bendell about the course, what topics it will cover, and how people can register to take the course (starting August 23, 2015) for free.